How is your prayer life? Are you disciplined in carving out a time and place for prayer every day? Or have you slacked off since Pursuit 21 ended? Do you make it to your prayer closet only once every few days, at the most? It has been eleven weeks since Pursuit 21 ended. I have prayed for you daily since we concluded our fast, asking God to help you maintain your heart for prayer and your commitment to it. I want this year to be different than all the other years of Pursuit 21. I want us to maintain our longing for prayer, our commitment to it, and our enjoyment of it—all year long! That’s why I’m sharing with you today some of my most favorite resources on prayer. May God use them to infuse us with His Spirit of grace and supplication, His Spirit of prayer (Zech. 12:10)! 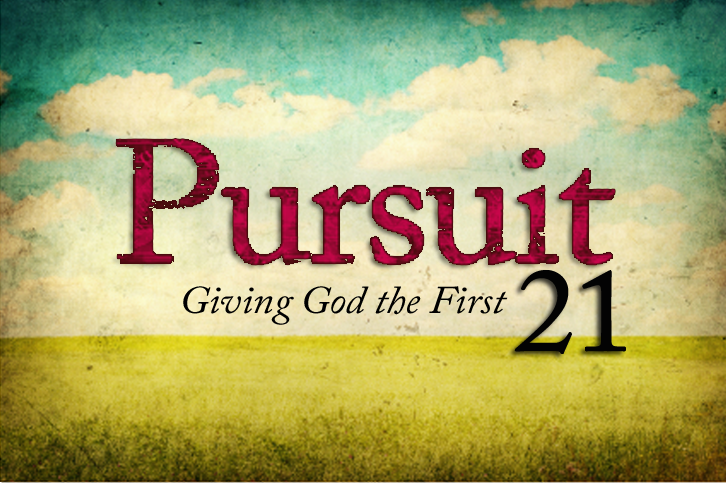 During Pursuit 21, I shared sermons and books that motivate, convict, and teach us in the area of prayer. Today I am sharing links to more sermons and a weekly webcast. I believe they will greatly impact your prayer life! Whenever I am in my car, or have a spare minute at home, I listen to Brooklyn Tabernacle and Times Square Church sermon podcasts, and Jentezen Franklin’s sermons on podcast and DVR. The following resources from Brooklyn Tabernacle, Jentezen Franklin, and Times Square Church have taught and encouraged me in prayer, and motivated me to pray believingly, with authority! 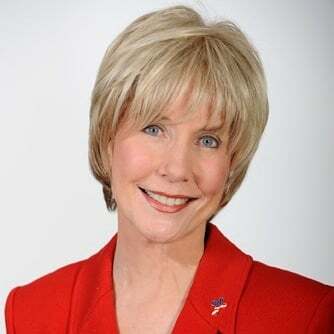 Jim Cymbala is the pastor of Brooklyn Tabernacle. 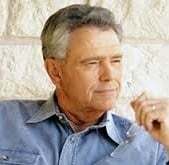 Some of my most favorite messages of his are about prayer — and many are ones he shared during their Tuesday night prayer meetings. If you’ve listened to Pastor Cymbala, you know that his preaching style is conversational. It’s direct and to the point without fancy outlines or gimmicky alliterations. He depends on the Spirit to give him in the moment what he is to share. It’s refreshing! And it makes it easy to hear and learn from as well. Whether your prayer life is on fire or under a layer of ice, I encourage you to listen to the following sermons by Pastor Cymbala and Jentezen Franklin. You’ll find yourself longing to pray! I encourage you to listen to these messages. They’ll motivate you to pray, teach you vital secrets about prayer, and help arm you for the battle! * A Personal Note: God spoke to me during Pursuit 21 through A Personal Promise by Jim Cymbala. He showed me that I must not let the enemy steal God’s personal promises. And then afterward, during the season of extended fasting and prayer, God re-iterated this and expanded upon it through Jentezen’s sermon, Power of Personal Prophecy. Jentezen shares a take on 1 Timothy 1:18 that I’ve never heard before. Through it, God reminded me that I must use the promises He has given me to wage warfare on the enemy. This is the most recent and constant direction the Holy Spirit has given me, and it is impacting my prayer life every day! Times Square Church in New York City is the church that David Wilkerson founded and pastored. The church streams its prayer meeting live each Tuesday night. Wow! What a gift to those of us who don’t live in New York City! These prayer meetings are like a concert of prayer in that they alternate music and prayer. What’s also awesome is that they take prayer requests from people around the world. The prayer requests and answered prayers are displayed on the screen during the prayer meeting. When you watch, you feel like you’re a part of the prayer meeting, because you are! The weekly prayer meeting webcasts remain available online for the remainder of the week, until the next prayer meeting. So even if you’re not able to participate live, you can still benefit from the webcasts and join in prayer for the needs that are mentioned. 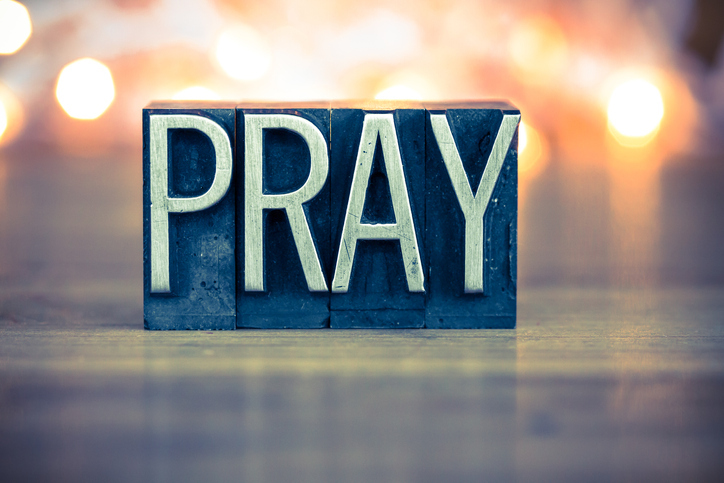 There are times that I have a need, and a prayer is prayed during the TSC prayer meeting that addresses my need, as if it is being prayed just for me. That’s the power of the Holy Spirit! And it’s present in these prayer meetings! On the Brooklyn Tabernacle app, you can sort the sermons by year, speaker, or series. On your phone’s podcast app, you can access recent sermons, which is great. But the church app gives you more ability to sort and locate older sermons. Also, you can watch the Brooklyn Tabernacle Webcast, which includes on-demand video of worship, choir performances, and sermons from the Sunday services. And you can read the Daily Devotional by Pastor Cymbala. The app is available on this page for all mobile platforms. 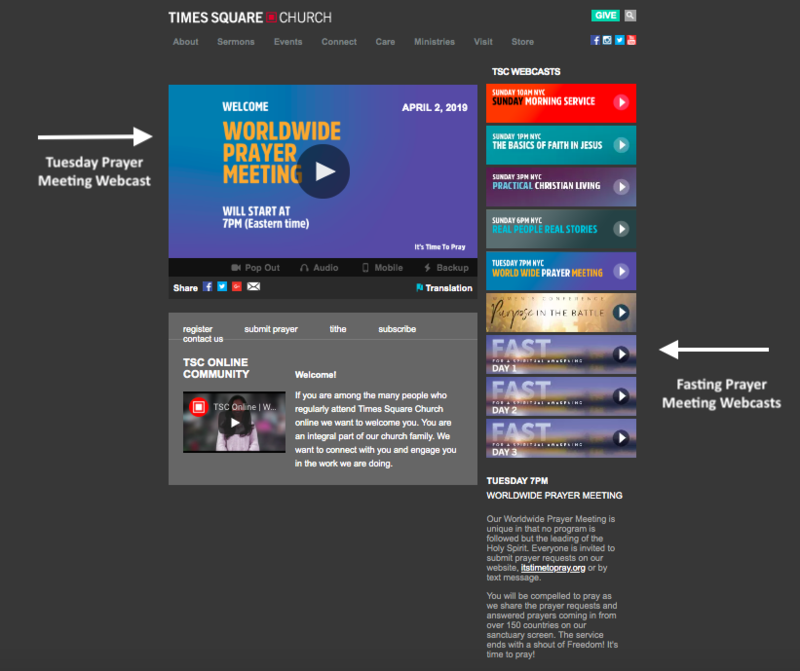 On the Times Square Church app, you can watch the weekly prayer meeting webcast and submit prayer requests, as well as read prayer requests and answer prayers. The app features the ability to sort sermons by speaker, including by David Wilkerson as the speaker. You can also access Carter Conlon’s one-minute radio devotionals called “It’s Time to Pray,” as well as a monthly worship devotional, and much more! Also note that a brief message is shared by one of the pastors during the prayer meeting webcast. The audio of this short message is not available in the podcast app like Brooklyn Tabernacle’s. It’s only available on Times Square Church’s app. So this is a good reason to get the app. It’s available on Amazon, Apple, and Google Play. I keep my daily prayer journal in Evernote. But I use the Prayer Notebook app for the alerts that pop up on my phone throughout the day. I use it to not only remind me of others’ prayer requests, but also to remind me of the promises I am praying for myself. I enter God’s promises to me from scripture, and my corresponding confessions of faith, and set alerts to notify me at certain times of the day so that I might take my thoughts captive. I don’t do this with every promise, but at times feel led to utilize this for key promises or prayer needs. I also use the calendar on my computer, which sinks with my phone, for some prayer needs and scripture promises, and corresponding alerts and reminders. Earlier, I asked you about the condition of your prayer life. Now I’ll be candid about mine. Caregiving duties and health struggles over the past few years have drained me in every way. (I wrote briefly about my caregiving role here.) In addition to taking on the role of caregiving, my health has been declining the past few years due to lack of funds to purchase my medication. (My chronic illness requires a good bit of medical treatment on a daily / monthly basis to combat severe weakness, constant flu-like symptoms, and permanent bodily damage.) Without these necessary treatments, it has been increasingly challenging to function to do even small things. Yet caregiving and ministry/work demands have not yielded to my inadequate supply. Consequently, I’ve become physically and mentally depleted—and it has affected my spiritual life. My desire for prayer and my commitment to it greatly decreased over the past nine years of health decline, which has included six years of caregiving. By December of last year, I had become bone dry. I could hardly find time and energy for extended prayer, not beyond a fifteen minute devotional and a few quick prayers. But it all began to change during Pursuit 21! God began renewing my passion for His Word and my hunger for prayer. The three weeks of Pursuit 21 are a busy time for me—so busy that I often continue fasting after Pursuit 21 ends, so that I have more time and focus to give to prayer. This year I was extra motivated to do so because I didn’t want to return to spiritual drought. I didn’t want my passion to once again grow cold. God worked through the ensuing weeks of fasting to multiply what He had begun in me during Pursuit 21. I am amazed! I wake each day with a longing to be with Jesus. I can’t wait to pray and study the word! I mention all that to say, if you’ve lost some of your desire for prayer since Pursuit 21, you might consider employing the Hungry Handmaid of Prayer and making fasting a part of your lifestyle in some way. You might consider fasting one day a week, or one weekend a month, or on certain days fasting from breakfast till lunch so that you’re focused on prayer first thing in the morning—or fasting whatever interval of time God leads you to fast. Fasting doesn’t just make our prayers more effective, it helps us get to the prayer closet in the first place. It helps us prioritize prayer. When our flesh is subject to the Spirit, it carries over into other areas of our lives, including our priorities. In this way, fasting, the Hungry Handmaid of Prayer, helps us prioritize prayer and time in the Word. Once the Hungry Handmaid reminds us how sweet prayer and time in the Word taste, we’re hooked! We long to experience them every day and will make whatever adjustments are necessary in order to do so. In this season of my life, periodic fasting is necessary in order to keep my spiritual tastebuds sensitive and hungry—and help me choose prayer over letting my depleted body veg. If you’ve noticed your spiritual hunger waning, this might be you too. You might find that periodic fasting stokes the fire of your hunger for God and helps you pursue Him in prayer. No matter what resources God uses in your life, whether it’s these sermons or apps, or ones you revisit from Pursuit 21, or whether God leads you to others—I pray you’ll continue pursuing Jesus! I pray God will speak to you, convict, and guide you! May He infuse you with hunger for Himself — with the desire to pursue Him and the ability to do so. [Not in your own strength] for it is God Who is all the while effectually at work in you [energizing and creating in you the power and desire], both to will and to work for His good pleasure and satisfaction and delight (Philippians 2:13, AMPC). God is at work within you, helping you want to obey him, and then helping you do what he wants (Phil. 2:13, TLB). It’s all JESUS! The desire to pray is a gift of God’s grace. And the ability to act on that desire and make time for prayer is also the result of God’s grace and enabling. “For from him and through him and to him are all things” (Romans 11:36, ESV). Our prayers themselves are an example of this. They don’t originate with us. If we’re praying correctly and sensing God’s heart and will when we pray, our prayers come from the throne of God, through the Spirit to our hearts, and back to the throne where they are answered. So Father, help us in our weakness. Give us the desire to pray and the power and discipline to meet you in the prayer closet! And there, Holy Spirit—Spirit of grace and supplication—pray through us! How is your prayer life? Is it on fire or under a layer of ice? Are you disciplined in carving out a time and place for prayer every day? Or do you only get to your prayer closet once every few days, at the most? Are you allowing God to infuse you with His Spirit of grace and supplication, His Spirit of prayer? Which of these sermons did God use to speak to you about prayer? What did He say to you? Are you so physically and mentally drained that it is affecting your prayer life? Have you considered employing the Hungry Handmaid of Prayer—fasting? In what way can you make fasting a part of your lifestyle, to serve as your Hungry Handmaid of prayer? Are you waiting on the Holy Spirit in prayer, allowing Him to help you in your weakness and pray through you? Or do you barrel through your prayer list simply so you can mark it done and get onto the next item of your day?